Arizona in Focus is a podcast from Cronkite News, the news division of Arizona PBS. Each season we dive deep into a particular topic or story to bring you stories you haven’t heard elsewhere. Check out the rest of our episodes here, and subscribe on Apple Podcasts, Google Podcasts, or Spotify. In this podcast, Christian Thurley speaks with Austin Garrison, a senior at Arizona State who is pursuing a career in the NBA 2K League, a professional esports league. 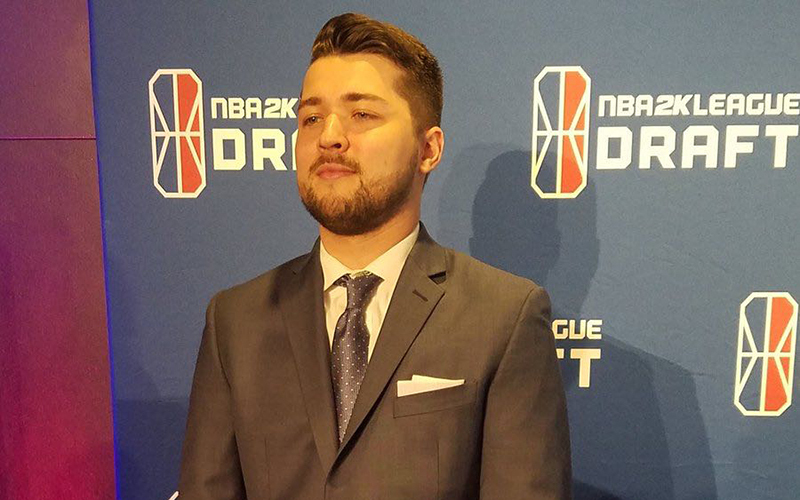 Garrison discusses his journey as he attempted to reach his goal of being drafted by an NBA 2K League franchise. The NBA 2K League is in its second season. It contains 21 teams, each that represents an NBA franchise. The 2K League is hoping to expand to all 30 NBA franchises down the road. Each franchise has six spots on its roster. This season 75 spots were open on all the rosters for the 150 people who qualified for the draft. Garrison talks about how his experience through the combine and how he would have to play from “10 p.m. our time to 4 a.m.” because those were the only available time slots to play and qualify when he wasn’t working. Although Garrison’s attempt fell just short this season, that isn’t stopping him from taking another shot at the league next year. Tune in to hear Garrison’s story and to follow him through the qualifiers next season. Portions of this podcast use audio from ESPN. This podcast is not promoted or endorsed by ESPN. This podcast contains audio from NBA 2K. This podcast is not endorsed by 2K Sports. Portions of the materials used are trademarks and/or copyrighted works of Epic Games, Inc. All rights reserved by Epic. This material is not official and is not endorsed by Epic. Listen to Arizona in Focus on our episodes here, and subscribe on Apple Podcasts, Google Podcasts, or Spotify.